Hey there We R Memory Keepers friends and fans, Becki here. 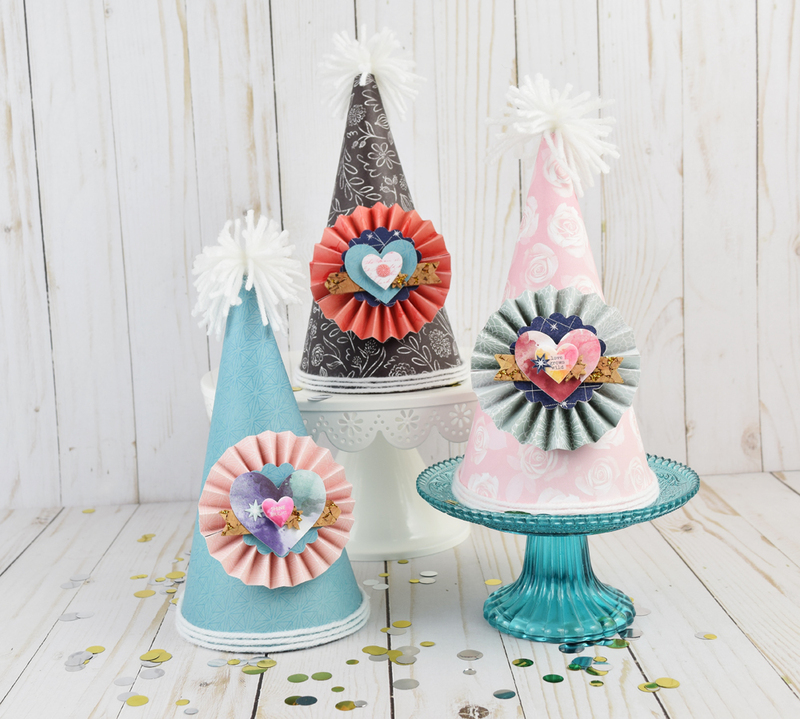 I have some really cute party hats to share with you today that I created using the DIY Party Board and the Trim and Score Board. 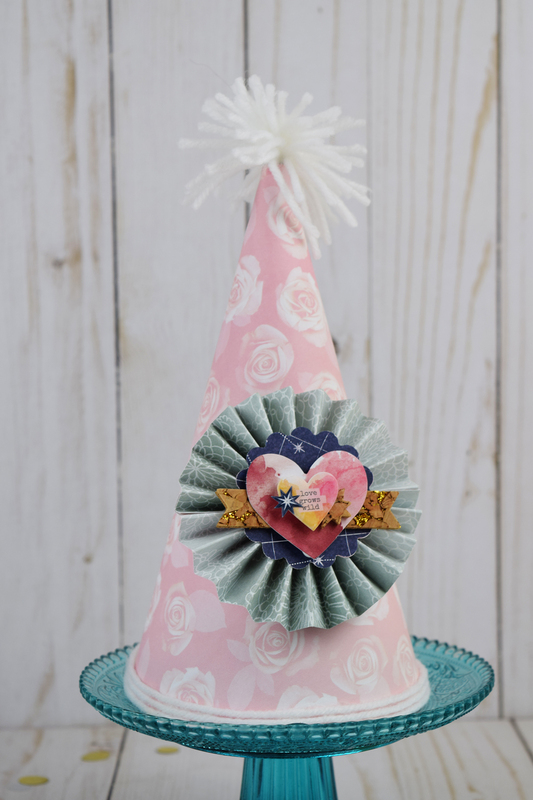 It’s so easy to create party hats using the Party Board. I started by trimming a 12″ piece of paper down to a 9×9″ square of paper. 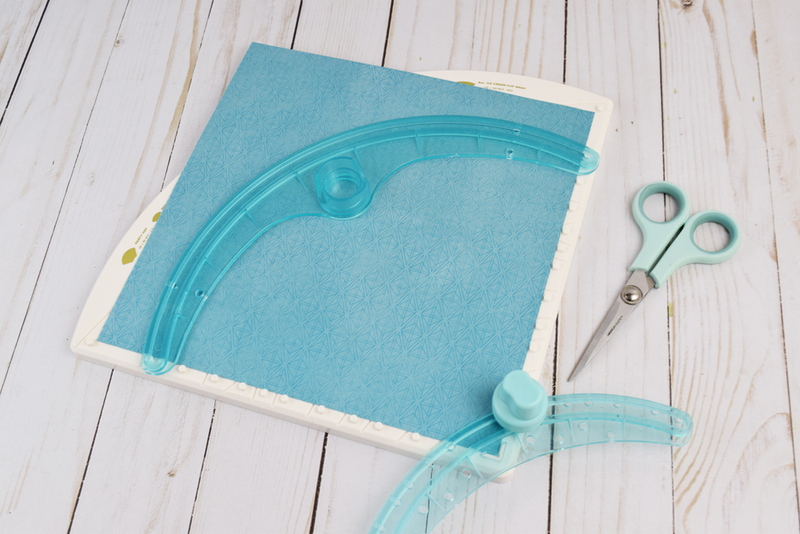 When I had the 9″ square of patterned paper I used the Party Board to cut it into shape. After cutting the paper I shaped it into a cone. I adhered the paper with strong liquid adhesive and staples. 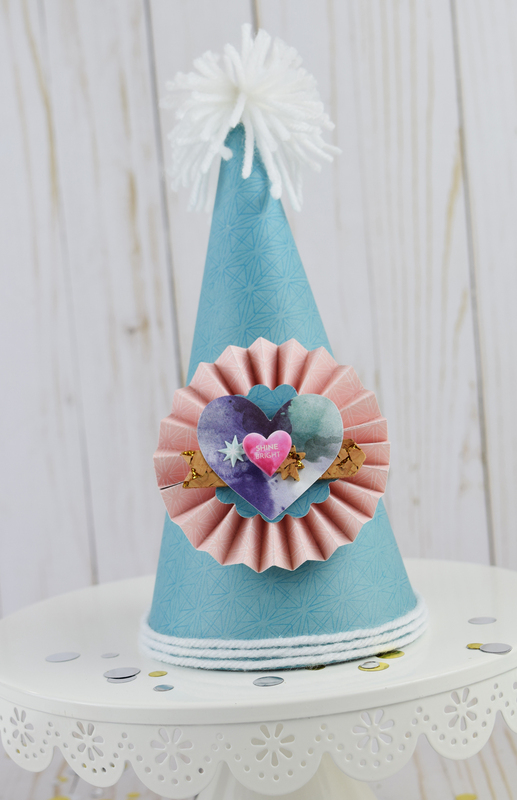 For this project I cut and adhered 3 party hats but the Party Board is so easy to use that you can create as many party hats as you’d like. Yes, they’re that easy to create. When I had the base of the party hat created I added a yarn pom pom at the top and three strands of yarn at the base. 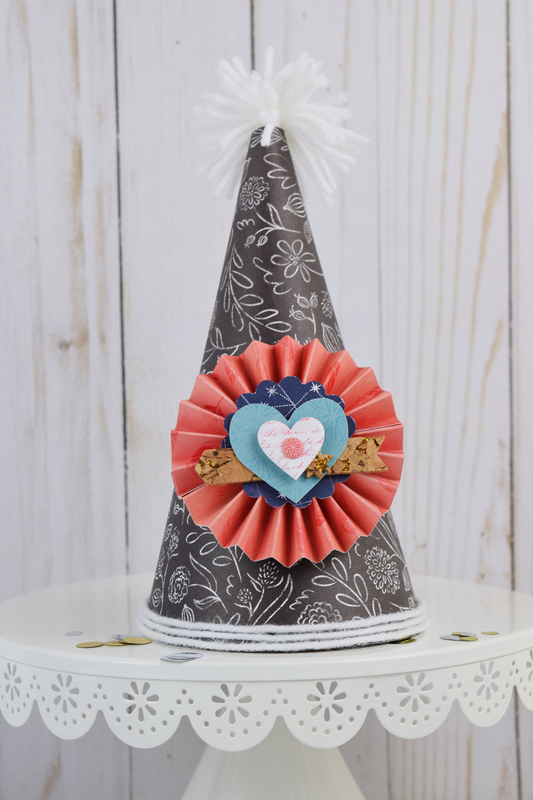 To embellish the front of the party hats I created rosettes using the Trim and Score board. 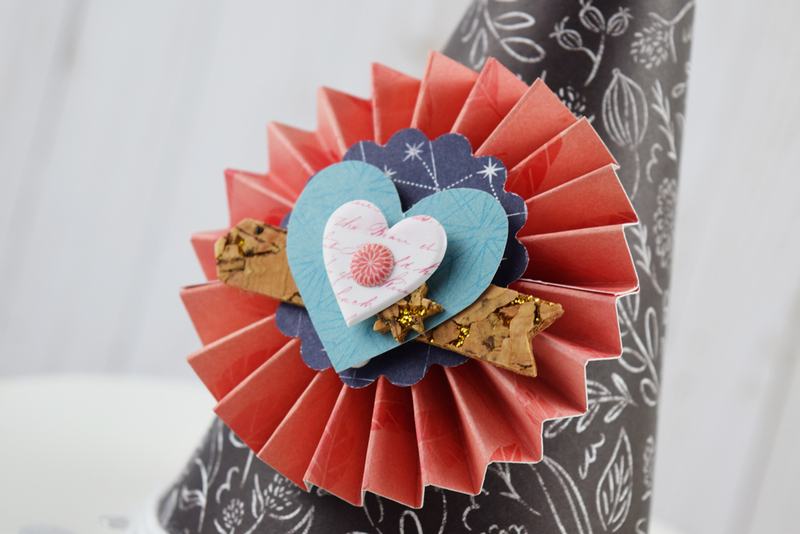 I cut two strips of patterned paper (12″x1 1/2″) to create each rosette. I scored the strips at 1/2 inch, adhered them end to end, and accordion folded them. 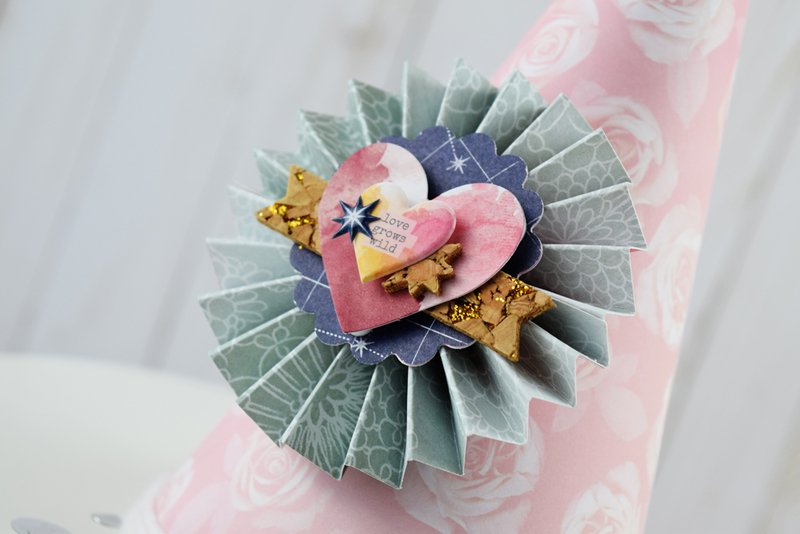 I made each rosette slightly different by adding different die cuts and stickers. 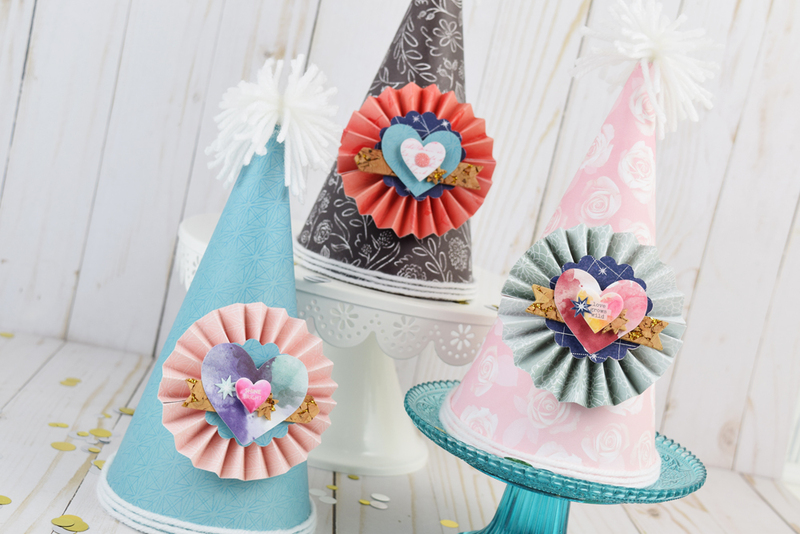 I LOVE how these party hats turned out. 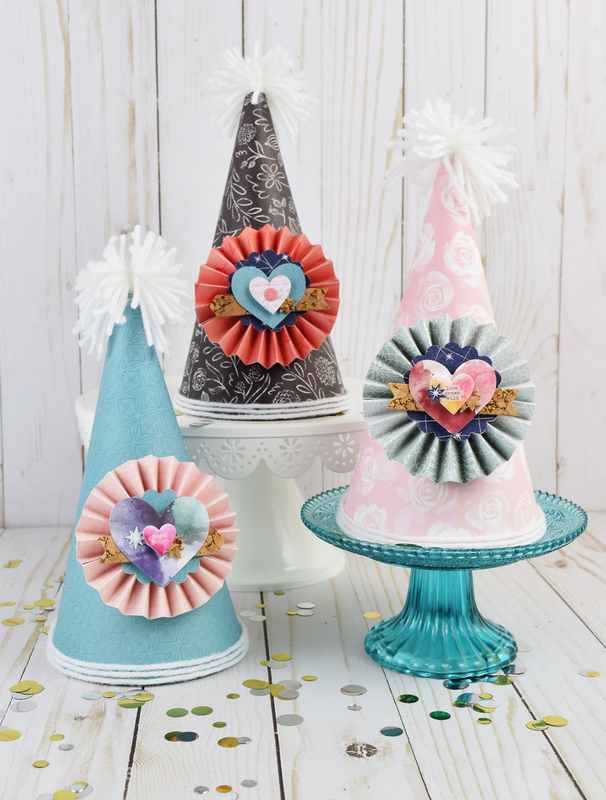 The DIY Party board made creating all these party hats a breeze. If you have an upcoming party (who doesn’t?) 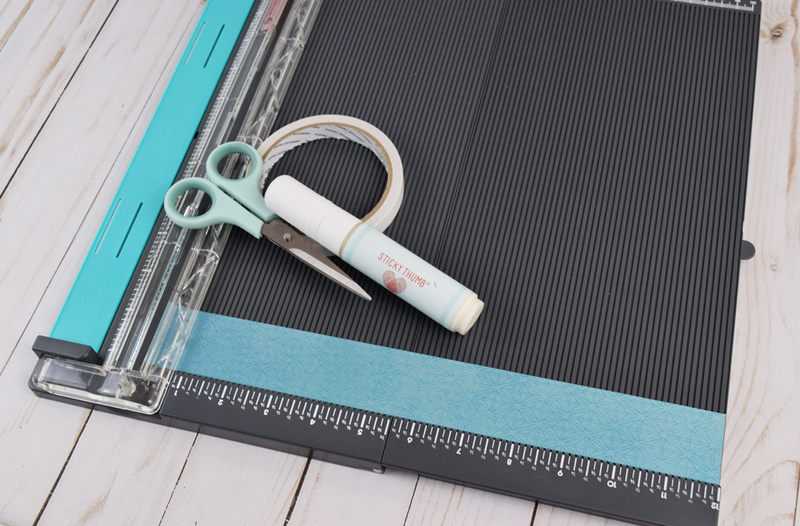 the DIY Party Board is a must have. 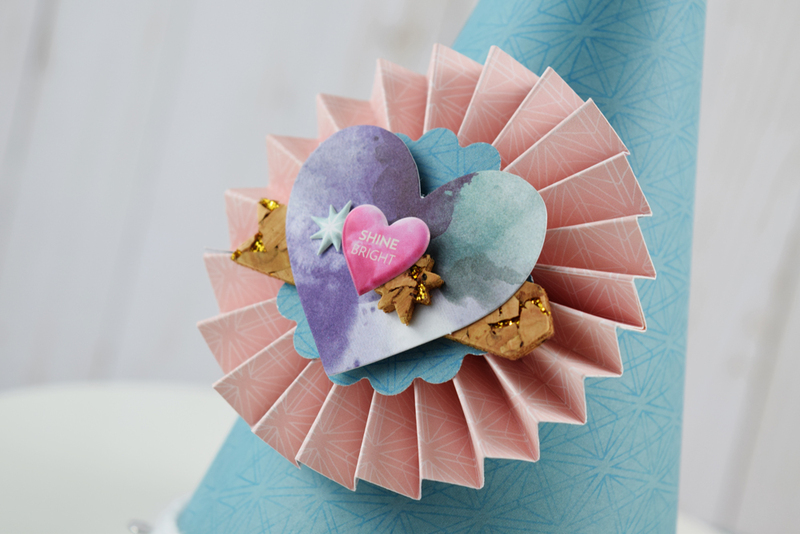 Thanks for stopping by the We R Memory Keepers blog. I’ll see you again soon!